The Hampton Inn Corinth hotel is located at the intersection of Highway 45 and 72 on the west side of Corinth Mississippi. Area attractions include shopping centers Curlee House Pickwick Dam and Shiloh National Park. Hampton Inn guests can dine at the Waffle House Abe Grill Ying Ming or McDonald*s all within .1 miles of our hotel and Ruby Tuesday is walking distance. The Hampton Inn Corinth hotel features 68 rooms some with whirlpool off-site health club passes outdoor pool and a Boardroom that accommodates 10 people. Whether traveling to the Mississippi area on business or pleasure our Hampton Inn guests enjoy amenities which include complimentary continental breakfast voicemail and TV with cable. Each room is equipped with coffeemaker hair dryer microwave/refrigerator and iron with ironing board. We also offer cribs and connecting rooms. Laundry/valet services and passes to an off-site health club are available for a nominal fee. We also have a meeting room for 40 people. 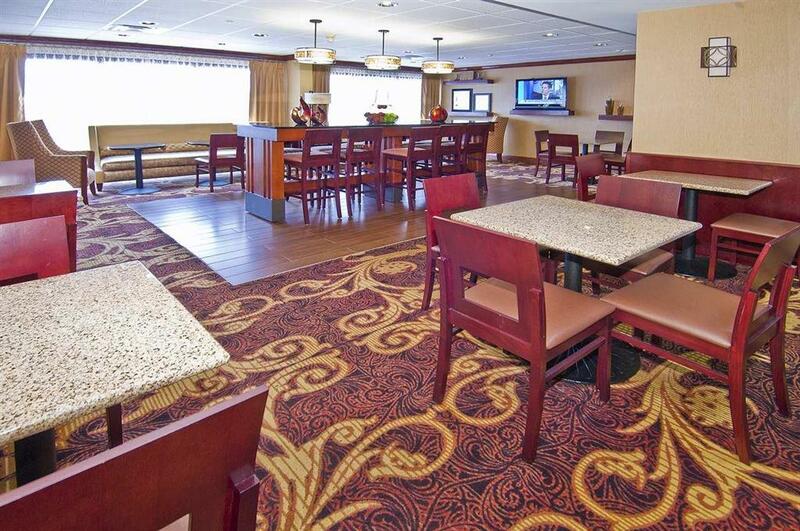 We love having you here at the Hampton Inn Corinth hotel in Mississippi. all reservations that do not require a deposit held until 6pm. late arrivals and after 6pm must be guaranteed with a major credit card or advance cash deposit to hotel. all reservations must be cancelled by 6pm host time unless deposit required. And one hundred other not-so-famous cars. A big building; lots of exhibit space.